Shanghai, China, 15 March 2018 – With market growth and rising scrutiny over the sustainability performance of sourcing and production of viscose, 10 leading global viscose producers and two trade associations in China have joined hands to form the Collaboration for Sustainable Development of Viscose (CV) to address sustainability challenges and drive market transformation. Senior representatives of the member companies and trade associations convened at the Intertextile Shanghai Apparel Fabrics Spring 2018 event today to officially launch the CV. Over the past decade, the global production of viscose has increased from 2.3 million tonnes in 2008 to 5.6 million tonnes in 2017, a testament to the market’s liking for viscose as one of the preferred fibre materials for textile. China contributes to about 63% of the viscose global output. However, the environmental impact from its general manufacturing process, coupled with recent shutdowns of some viscose enterprises for rectification by the Chinese government for environmental non-compliance in the increasingly stringent regulatory landscape, led to increasing enquiries if viscose is an environmentally-friendly and sustainable product. 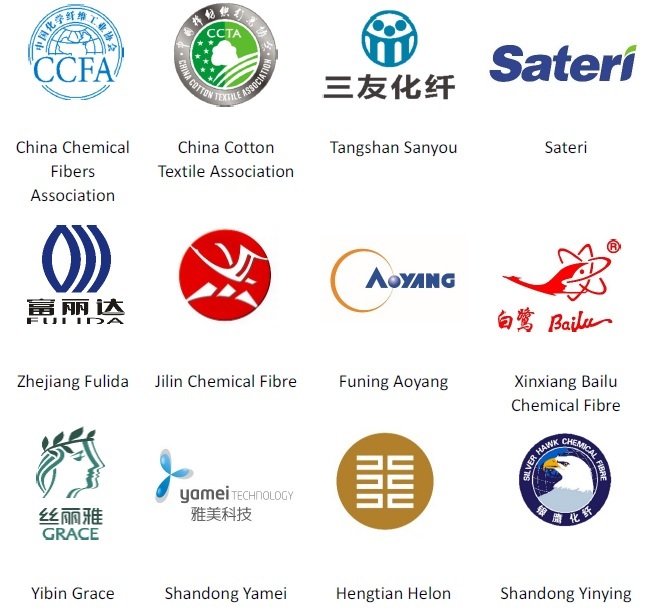 The Chinese viscose industry, as the world’s biggest viscose producer, recognises it is a major stakeholder and has an important role to play in driving sustainability in the global textile/apparel value chain, from forest to fashion. It is against this background that the CV is established. The CV initiative commits its members to adopt and implement a time-bound framework of actions to address environmental and social issues through the adoption of industry best practices and international certification standards. Its framework, known as the CV Roadmap, is the first of its kind in the man-made cellulose fibre sector to cover the full viscose supply chain, from responsible sourcing to responsible production. The CV launch brought together a cross-section of industry stakeholders, including viscose producers, yarn spinners, textile manufacturers, supply chain expert Li & Fung, and apparel brand/retailers H&M. Also present were non-governmental organisations (NGOs) including the Institute of Public & Environmental Affairs (IPE), the Office for Social Responsibility of China National Textile & Apparel Council (CNTAC) and the Zero Discharge of Hazardous Chemicals (ZDHC) Foundation; influencer Textile Exchange and sustainability standards body OEKO-TEX. From the outset, CV is meant to be an inclusive initiative. CV welcomes more producers to its cause, both within and outside China. CV is already in discussion with a number of local and international producers who have expressed interest in joining. The CV Roadmap draft is undergoing a final round of stakeholder review, and is expected to be unveiled in Q2 2018. The Collaboration for Sustainable Development of Viscose (CV) offers viscose producers a platform to achieve sustainable viscose and help their customers deliver on their sustainability commitments. CV is formed by 10 of viscose fibre producers – collectively representing over 50% of the world’s viscose staple fibre production – in partnership with two trade associations. This self-regulating initiative will see its members adopt a much-needed sustainability roadmap for the viscose industry. The roadmap will include a set of credible, practical and widely accepted sustainability standards to help the viscose industry adopt and implement sustainability best practices. The CV Roadmap is an actionable framework that sets out the guiding principles, best practices and standards for sustainable development of viscose with which members must comply within a given timeframe. It is underpinned by four key attributes: full supply chain (from plantations to factory), time-bound implementation, transparency and continuous improvement. The standards and best practices benchmarks are chosen, based on the principles of relevance, credibility, inclusivity, objectivity, comprehensiveness and clarity. They include the Standard 100 and Sustainable Textile Standard Production (STeP) by OEKO-TEX, The Higg Facility Environmental Module (Higg FEM), Zero Discharge of Hazardous Chemicals (ZDHC), forest product chain of custody certifications such as the Programme for Endorsement of Forest Certification™ (PEFC™) and Forest Stewardship Council® (FSC®), Business Social Compliance Initiative (BSCI) and Social Accountability SA 8000.